Enterprise-level services from a team you can trust. Since 1998, Webservio has provided small businesses and multi-national corporations with a wide range of hosting and SaaS services. 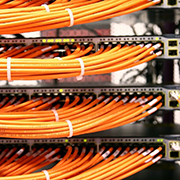 We take pride in providing secure and effective solutions to help companies meet their goals and objectives. We are problem solvers, computer nerds, dreamers, entrepreneurs. Great companies are judged by what they do, not just what they say. We care about results and make sure things are done right, whether or not anyone will notice. We are dedicated to being honest, ethical and upfront. Clear communication is key. We always specify what will be provided, when, and at what cost. Then we make sure to follow through in every area. We make it a habit to go above and beyond. We’re constantly pushing ourselves in new and exciting directions, and we never stop asking how we can provide a better service and experience for our clients. We provide solutions and expertise that make a difference. Technology should be an asset, not a liability. We are in the business of solving and preventing problems. Your email, website, and other services should help you do your job better and faster. We will recommend the best services to help you overcome current challenges and reach your company's goals, even if they aren't the services that make us the most money and even if it's not what you thought you needed. We've been around the block a few times. We will help you avoid common pitfalls and show you how to leverage technology to stay a step ahead of the competition, impress your customers, and fuel business growth. Why Webservio? We want to be more than just a service provider. Our goal is to partner with your organization and build a successful long-term relationship. We've been in business for a while and we're not going anywhere! Webservio first opened its doors nearly two decades ago. As any business owner knows, sticking around that long is not a fluke! We operate every day of the year to maintain our systems and support our clients. On average, our clients stay with us for five years or more. We are proud to maintain this longevity and provide solutions that adapt with our clients as their businesses grow. It would be easier to answer where we aren't! 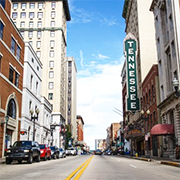 Our roots are in Tennesse, but our partners and clients are located around the world in nearly every industry sector. Webservio's headquarters has always been in Knoxville. We love our city, and we aren't surprised that it makes the lists for U.S. News Best Places to Live and Forbes Best Places for Business and Careers. Webservio has clients and partners all around the globe. Where are you located? We'd like to add a marker on our map for your organization! How can we work together? Let's chat! 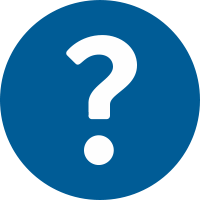 Stay tuned for the launch of an exciting new solution that could revolutionize the way you do business! Be the first to hear about it by subscribing to our email updates. Webservio introduces several web design options perfect for companies wanting a modern, updated look. This offering was developed in response to requests from our clients for a hassle-free alternative to DIY. 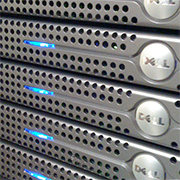 The Webservio engineering team completes infrastructure updates to the Infinity Data Center. The company adds FuseMail, Proofpoint Enterprise, Office 365, and G Suite to its already diverse range of email services. Webservio now offers data connectivity services, including internet, phone, and cable, through its partnerships with Wow Business and other providers. Webservio acquires the client base of Infinity Webhosts and ownership of the Infinity Data Center. The company expands its range of service options by becoming a Mimecast partner, adding an outbound filtering option to SpamWeeder Premium, and introducing the Premium Shared Hosting service for small businesses. 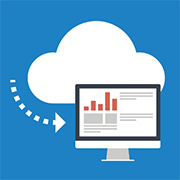 Hosted Exchange cloud-based email is added to Webservio's range of services. 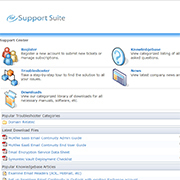 Webservio launches a new knowledgebase and online ticketing system. The company also expands its range of partnerships to include McAfee Saas Email Protection and Sophos network security solutions. 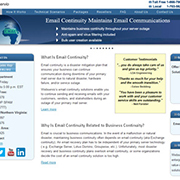 Webservio launches a new website featuring its range of disaster recovery services, including Email Continuity and Mail Bagging. 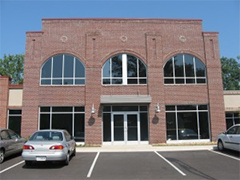 Webservio offices move to Hardin Valley in West Knoxville. The company continues to expand its range of services to include Postini spam filtering. A new partnership allows Webservio to offer dual facility hosting configurations along with colocation in Baltimore, Maryland. Webservio develops a free DNS utility site: dnsgoodies.com. It features a web interface for whois lookups, domain information, open relay checks, and more. Webservio renovates a building on Sutherland Ave. in Knoxville and moves to the new office and data faciilty. The company's name is changed to Webservio Inc. to better reflect its growing range of services. 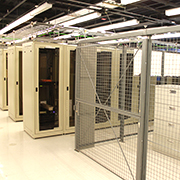 The company begins renovations on a data center in downtown Knoxville. WebCentric Development Group is incorporated in Knoxville, TN. The company is primarily focused on website design and development projects along with web hosting.